Was pastor and founder of the Romanian Baptist Church, 4010 N. Lawler Ave., and honorary president of the Romanian Baptist Association of the United States and Canada. Rev. Popovici, who was born in Harrisburg, Pa., grew up in Romania because his parents had returned there in 1921 and could not leave because of emigration laws. He graduated from the Theological Baptist Seminary in Bucharest, from the Orthodox Seminary there and from the Protestant Theological Institute in Cluj, Romania. Rev. Popovici also received a doctorate from the Indiana Christian University in 1973. He had been pastor of three major Baptist churches in Romania. 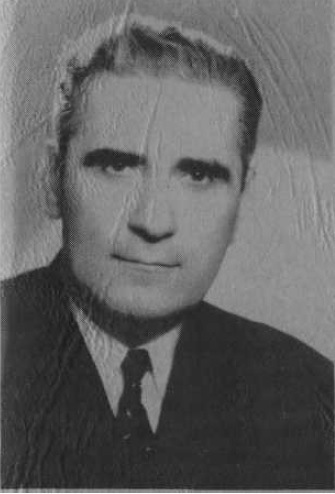 As an educator, he served as president and professor at the Baptist Seminary in Bucharest.In 1965, Communist officials prohibited him from preaching, teaching, writing or even praying in public. He then claimed his American citizenship. Rev. Popovici became a radio pastor and could be heard over radio stations that broadcast from Monaco and Ecuador.